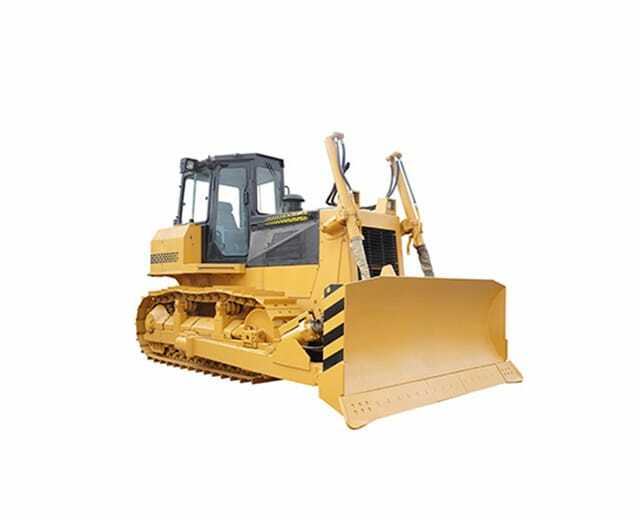 Bulldozers, also known as dozers and crawler loaders, are important pieces of construction and mining equipment. You can use these machines to dig, excavate, and level different types of soil. 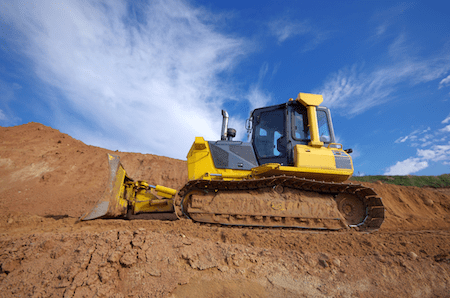 With this guide, you will learn more about dozers such as the history of bulldozers, related patents, popular models, and when to use them. You will also learn about safety guidelines, training, and ways to avoid possible hazards. Several companies in the United States and Europe make bulldozers. To meet the increasing demands, these companies have made several models with state-of-the-art technology. Some of the leading trucks from these companies are available through BigRentz. 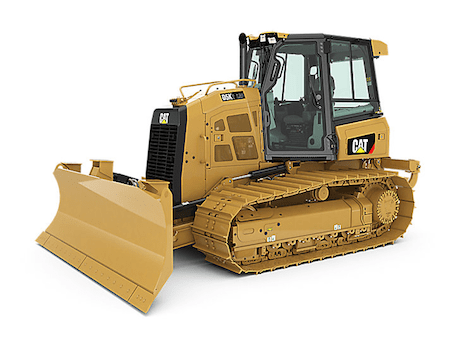 As a popular construction machinery manufacturer, Caterpillar (Cat) was officially formed in 1925. The company's name came about thanks to owner Benjamin Holt. He thought the appearance of a steam tractor with planks wrapped around the wheels formed a continuous track. Known as “caterpillars,” these machines eliminated the need for a temporary plank road to move the equipment. Over the years, the company has grown and acquired many products and pieces of equipment. To meet the needs of several industries, it has more than 110 manufacturing facilities found across the globe. 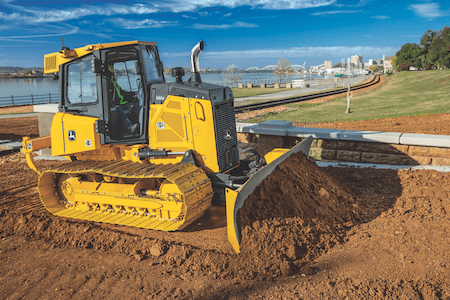 The Cat brand maintains its presence in the dozer market. It has almost two dozen types of vehicles, which include small, medium, large, and waste-hauling ones. 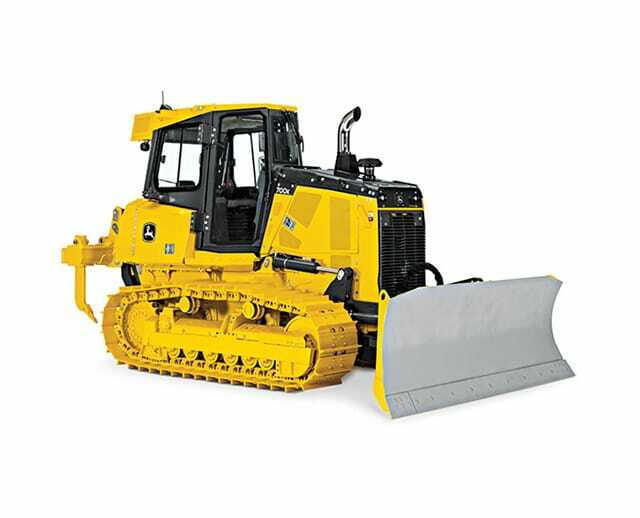 One of its newest machines is the D6K2 bulldozer. It has the slope-assist technology, superior maneuverability, and a new powertrain that delivers up to 17 percent more fuel efficiency. Established by its namesake John Deere in 1837, John Deere & Company develops machines for those who work the land. Deere originally worked as a blacksmith and moved to the Midwest from the East Coast. He realized that pioneer farmers in the Midwest struggled to turn over the prairie soil, so he used a broken saw blade to develop a plow. Just like Cat, John Deere & Company has expanded its market and now offers many types of earthmoving equipment. It makes several different types of crawler loaders, including its 605K, 655K, and 755K. All of its crawler loaders have a cooling system that has an optional reversing fan. Based in Switzerland, the Liebherr Group began in 1949. Hans Liebherr began building tower cranes and airplane parts as he started the company. It expanded its equipment to include mining and digging equipment. That equipment included loaders and dump trucks. Today, the company has more than ten divisions and is the world's largest crane manufacturing company. 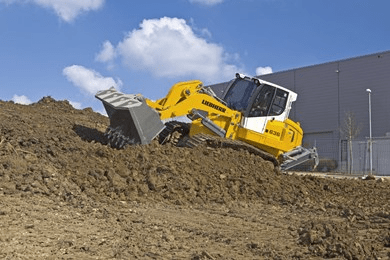 The Liebherr Group makes several models of earthmoving equipment, including crawler loaders. Its LR 626 Litronic is a newer model and has an operating weight of up to 41,000 pounds. Another model is the LR 636 Litronic, which operates at a weight of up to 50,000 pounds. BigRentz offers several types of bulldozers for rent. Model availability varies depending on your location. Below are a few popular models you may want to rent. With a 238-hp engine under its hood, the Cat D7E bulldozer helps you save money on diesel fuel. It also reduces emissions thanks to a diesel-electric powertrain. Its electric drive gives enough power for dozing along with smooth operation to get the job done. The D7E Caterpillar bulldozer earned a 2009 Clean Air Excellence Award from the U.S. Environmental Protection Agency. It is also 30 percent more fuel efficient when compared to the D7R2, which is a smaller dozer. Considered a mid-range bulldozer, the John Deere 650K has a net power of 110 hp at 2,200 rpm. Its bucket can hold 1.7 cubic yards. This capacity makes it ideal to grade, level, and push large quantities of soil, sand, and other earth-based materials. It also has hydraulic and hydrostatic systems as well as in-cylinder sensors. These sensors let you return the bucket to a pre-set position. Introduced in 2015, the Liebherr LR 636 Litronic bulldozer has an operating weight of more than 50,000 pounds. It is powered by a 184-hp diesel, four-cylinder engine. Its bucket capacity can reach up to 6.02 cubic yards. The company met emissions and consumption targets by reducing particulates generated from the engine. The machine also has a common rail injection and electronic engine management system. 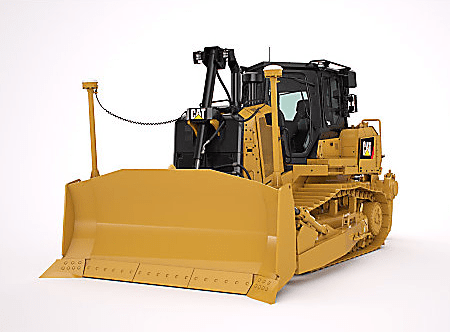 You can learn more about the bulldozer models by reading reviews. You can find written and video reviews from industry experts. Those who have rented or owned the machines also give reviews. Search online to learn more about certain types of models. 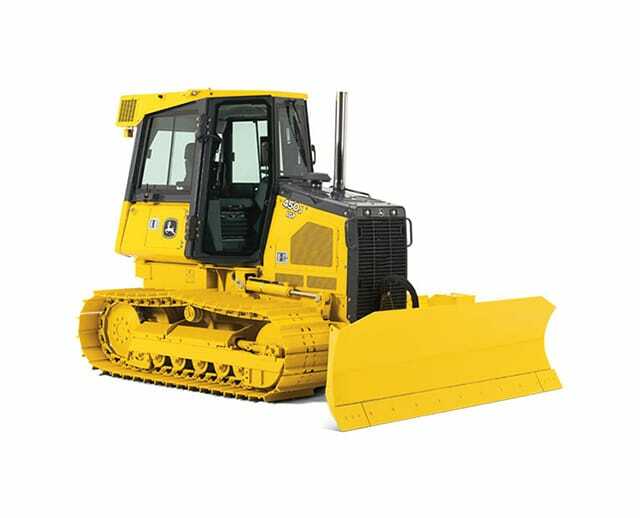 Below are some reviews of popular dozer models mentioned above. Considered a mid-range bulldozer, the Cat D7E has the company's first-ever electric drivetrain. This drivetrain lets the machine consume 25 percent less fuel due to its newer engine and the elimination of the fuel-sipping torque converter and gearbox. The cab is easy enough to enter, and Cat reduced the interior noise by 75 percent when compared to the previous model. However, a single-center post in the cab aligns with the exhaust. This placement gives the driver a blind spot. Its 5-foot high, 13-foot wide blade can easily handle material. This handling is evident when compared to the D7R2 series it replaced. The D7E can move 10 percent more material an hour compared to the D7R2, which equates to about 1,200 cubic feet of material. Users have said that it takes some practice not to push too much dirt. Users of the John Deere 650K like the machine's more powerful PowerTech engine. The engine also satisfies the EPA Tier 4 Interim emissions requirements. It has extra weight compared to previous models. But the 650K has an improved hydrostatic drive that gives improved productivity. The cab has large access doors that lead to a spacious interior. Its seats are high enough so that you can see down below. This height helps you keep an eye on the machine's movements. The entire K series of crawler dozers use cooled exhaust-gas recirculation (EGR). EGR lets the machine meet EPA requirements set in 2012. Users suggest choosing the optional fan-reversing feature to blow out debris from the coolers. You can easily remove the filters to clean when they get dirty. This feature is standard on the 750K. 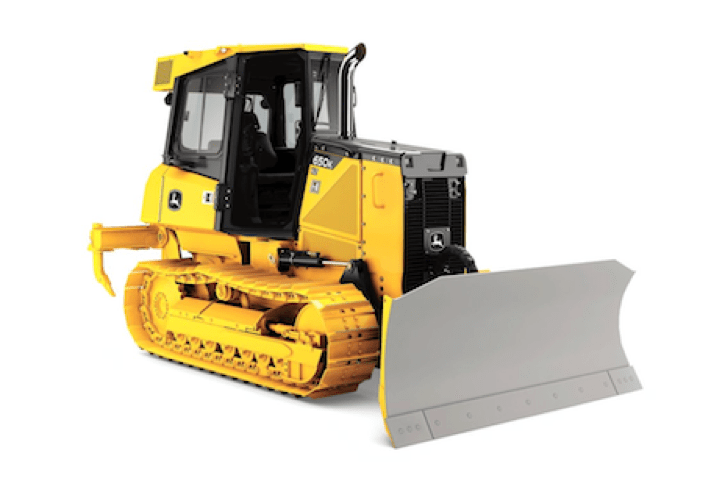 The LR 636 Litronic bulldozer boasts low fuel consumption. This low fuel consumption is due to its highly efficient hydrostatic drive unit and low nominal speed of its diesel engine. You can easily control the machine with only one joystick or upgrade for pedal steering. If you need to turn the machine, you can easily move it on the spot. Now in its sixth generation, the LR 363 Litronic has low sill on the front windshield. This feature gives you plenty of visibility and helps you to see the bucket. The bulldozer's Z-bar linkage along with its cross-pipe makes sure you receive the maximum bucket usage. 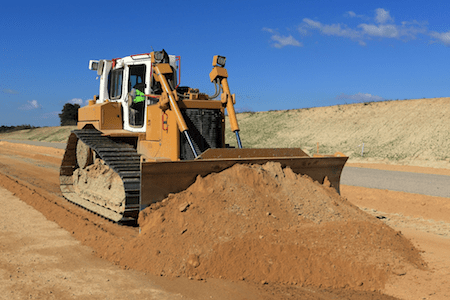 When Should Businesses Use Bulldozers? 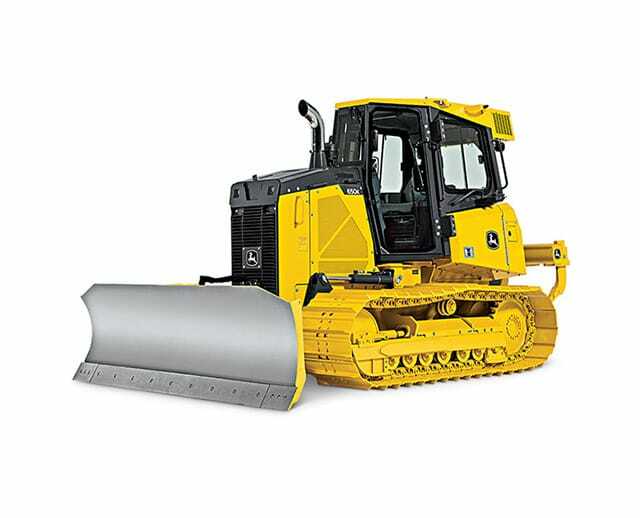 Businesses can use dozers in a variety of industries. You mainly see them in construction, mining, and farming. You can use their large flat blades on the front to move and lift with hydraulic arms. These arms help these machines to move around large amounts of dirt. They also cut down the time it takes to complete a task. This feature is the most common task for the dozers. The machines are a primary tool used in building roads since they remove topsoil before the road is constructed. They also smooth the fill used to build the road. Some workers use the dozer in addition to earthmoving backhoes and other digging machines. The backhoe lifts material out of an excavation site and sets it on the ground. The dozer then pushes it away to another spot. The dozers can also load trucks, grind down rocks, and rough grade a surface. They can strip off vegetation when preparing to dig a foundation. Also, they can push waste and brush into an area to dispose of or burn. Dozers are often utilized for large-scale jobs in construction and agriculture. Dozers can also destroy or remove old pieces of property. They can knock over a structure, removing the need to take it apart one piece at a time. After it destroys the building, the dozer can push all the debris into a single pile. You don't need to worry about the type of soil you work on since the crawler loader has wide tracks to even out its weight. These tracks let you work on soft ground, sand, and mud without fear of sinking. If your dozer has wheels, consider using it only for light-duty tasks. You must be careful when you operate any heavy machinery. This point is also important when dealing with dozers. These powerful machines can create dangerous situations if you operate them incorrectly. Before you leave the dozer unattended, make sure you set the parking brake. To remind yourself, try to make a habit of leaving the cab out of the door closest to the parking brake (that is if your cab has more than one door). Setting the parking brake makes sure that the machine doesn't move, which is especially important if you keep the machine in neutral. Further, you could turn off the equipment when exiting the cab to make sure it won't move at all. If you operate the machine on uneven terrain, make sure you are cautious. Try to keep the dozer's tracks straight up and down the slope. Avoid using the dozer on frozen ground or loose rock if possible, especially while operating on hilly terrain. Keep your seatbelt on in case the dozer encounters reduced stability and traction. When operating the machines, pay attention to your surroundings. Make sure no employees or pedestrians are walking near the equipment. Dozers are large, specialized pieces of equipment that require skilled operation. When you operate a dozer, you must follow specific safety protocols. These regulations and rules can lower the risk of potential hazards. They also help you to complete the work in a timely and safe manner. They make sure that the employees, workers, and pedestrians are safe. Failing to follow safety protocols and not following rules can cost businesses time and money. When you leave the machine, set the parking brake. If you park the machine on an incline, have the wheels chocked as well as setting the parking brake. You could also turn off the vehicle for extra peace of mind. Operate on safe terrain. Some dozer models have features that prevent tipping. It's still a better idea to use the machinery on solid ground. Carefully check the area where you plan to work the machines to see if you can avoid slopes, bumps, or hills. Also, make sure that the cab glass consists of safety glass. Wear protective gear when operating dozers. This gear includes hard hats, safety shoes, ear protectors, and reflective clothing, especially if you're working around other pieces of equipment. You want to protect yourself and make sure that other bulldozer operators see you once you exit the machines. Conversely, you should pay close attention to your surroundings. It's a good idea to encourage other employees to wear reflective gear as well so you can see them. Also, avoid operating the dozers around electrical wires. Before you operate dozers, you should obtain training. The U.S. Occupational Safety and Health Administration (OSHA) requires that operators of earthmoving equipment must have training. You can choose from among several types of training locations and companies. Basic training covers overall operation and safety protocols. You may need extra training on how to fix the machine, perform daily maintenance, or troubleshooting. Also, you should have training on the specific truck model that you plan to use. Bulldozer training certification lasts for three years, and then you will need to be re-certified. This process includes training, a written exam, and a practical evaluation. You can obtain this training from third-party companies such as Hard Hat and VISTA Training, from your company, or from the manufacturer. Caterpillar offers heavy equipment operator training available via CDs or online learning. This option gives you the freedom to work at your own pace and convenience. Komatsu, which is another heavy equipment manufacturer, also has technical operator training programs that last four days. During the four-day session, you learn about safety requirements, the machine's operations, and troubleshooting. Some employers may demand that you undergo on-the-job training for dozers. If you're a new hire, you may need to demonstrate your knowledge about the machines, particularly about specific models that the company plans to let you operate. How do I rent a bulldozer? BigRentz offers several different sizes of dozers available to rent. On the website, enter your city or ZIP code to get a list of bulldozers available. Once you have found the best type of equipment for your project, click “Add to Cart” and enter your information. If you have questions or want information about next-day orders, call (888) 325-5172. For how long can I rent a dozer? When you choose BigRentz to rent a dozer, you have flexibility in the rental time frame. As such, you can base your decision on your project and budget. You can opt for daily, weekly, or monthly rentals. How much does it cost to rent this equipment? BigRentz takes pride in offering the lowest price available in every market. Rental prices listed on the website are samples based on major metropolitan areas. The company provides service to more than 500 metro areas, so the final rental price depends upon availability and market pricing. The listed rental price doesn't include pickup and delivery charges as well as required taxes and service fees. For dozers, the price range starts at $518 for daily rentals, $1,571 for weekly rentals, and $4,010 for monthly rentals. Prices also vary depending on the model. The bulldozer's history began in 1713. Frenchman M. D'Hermand designed a crawler-tread trailer pulled by goats. During the Industrial Revolution, English inventor Richard Edgeworth got a patent for the first steam-driven moving tracking tread system. Two other inventors, Britain's George Cayley and Russia's Dmitry Zagryazhsky, worked on a continuous mobile track system. But none of these designs got past the design or prototype stage. On Thanksgiving Day in 1904, grain harvester manufacturer Benjamin Holt invented the first crawler loader. He made this machine on a farm near Stockton, California. It had endless chain threads. This feature prevented it from sinking into the loose soil or sand. Benjamin Holt, who founded the Holt Manufacturing Co., designed tractors with these treads. The machines helped those in agriculture and farming. These vehicles became known as “caterpillars.” Holt changed the name of the company to the Holt Caterpillar Co. in 1910. In 1925, the company merged with its major competitor, the C.L. Best Gas Tractor Co. Together, they formed the Caterpillar Tractor Co. which used the traction device for bulldozers and became one of the country's leading producers. In 1923, James Cummings and J. Earl McLeod invented the first bulldozer. They developed a large, dirt-pushing dozer blade that went on the front of a tractor. This tractor could plow fields, thanks to its endless chain threads. They received a patent for this “Attachment for Tractors” in 1925. In the 1930s, an English company named E. Boydell & Co. created a loader that had a small bucket and tractor. These early models had loader shovel attachments for certain tractors. Cables and latches operated these attachments. 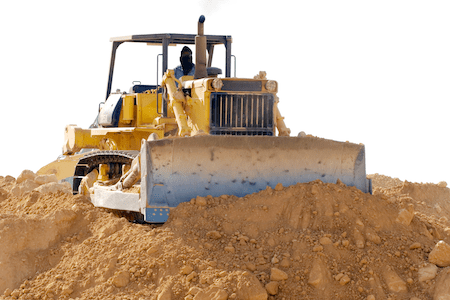 Over the years, dozers have become a popular piece of construction equipment. You can find them at most construction, mining, and agriculture sites. Dozers and crawler loaders have been around for more than a century. To keep up with demands, manufacturers created new models that had unique features. Developed by Peter Riml in 1985, this patent is for an undercarriage. It's made for bulldozers, crawler loaders, or other track-laying vehicles. The track-laying frames are mounted at one end of the supporting axles. They attach to the mainframe, and the other end is on a rocker bridge. The undercarriage also has track chains and rotary hydraulic motors. The motors get fluid from the hydraulic pumps. An internal combustion engine found on the main frame helps in this process. This 1969 patent came from inventors F. Skanes, R. Ayranto, and R. Kraemer. It stated that crawler dozers had a similar design. Their upright frames in the center served as the mounting structure and the tractor's body. This patent is for an A-frame found in a transverse vertical plane. It has two double-walled legs along with side plates. These plates form the frame's two legs. Developed in 1972 by E. Oestmann, this patent belongs to Caterpillar Inc. It details a track-type vehicle found on the main frame. It also has containing-spaced idlers found on each side. A drive sprocket sits on the frame between each pair of idlers. This arrangement lets the vehicle move on an endless track assembly. Thanks to their size and power, crawler bulldozers are commonly found at construction sites. Their versatility in mining, farming, excavation, and road work sites make it a smart choice to rent for your next project. If you want a large selection of dozers to rent at affordable rates, consider BigRentz. Whether you need the equipment for one day, one week, one month, or longer, BigRentz has you covered. To learn more about bulldozer rental, explore the BigRentz website or call (888) 325-5172.